Those delicious little morsels spread out on the dining room table just waiting to be enjoyed by all. The first chapter in the book of food. The first act in the theater of fine Italian dinners. The first note played in the concerto of.....Oh, well, you get the picture. I'm getting a little carried away just thinking about preparing these wonderful dishes. Traditional Italian appetizers are quick and easy to make and uncompromising in taste. I always spread out the apps around three hours before dinner, this way it gives the family a little time for nap between courses. Make around ten of them and you could skip dinner completely and just go straight for the nap. At least that seems to work for my family. I have to admit this is my favorite. This is my recipe which has a little spice and plenty of taste. Hot or mild Italian sausage with juicy tender slices of red, green and yellow bell peppers. Just savor the flavors and watch out for that juice dripping down your chin. This simple Italian favorite will have your family and guests singing the tunes of Verdi and Puccini. Garlicky, crunchy and chunky are the best way to describe this appetizer. Garlic and basil, "Don't Leave Home Without It". Carry it with you and you'll make many friends. Fried mozzarella is a definite hit among children and adults alike. Chewy and stringy and oh so good best describes this delicious dish. Crisp garlic bread with herbs and parmesan cheese. Delicious stuffed artichokes braised in chicken broth. Baby Portobello mushrooms stuffed with sausage,cheese and prosciutto. Great little apps for the whole party. Creamy crab with a secret. Crispy fritter with sour cream. Delicious littleneck clams with prosciutto. Rosemary, garlic, onions and butter top these delicious breaded raviolis. Tossed in olive oil, rolled in breadcrumbs and Parmesan and baked to perfection. Delicious portabella mushrooms layered with tomato, cheese and basil. Crispy tender fried squid with marinara. The great New Orleans classic Italian sandwich. Plump tender mussels topped with Italian seasoned breadcrumbs. Simple appetizer with fresh diced tomatoes(Healthy Italian Recipes). Fresh vegetables battered and deep fried. Delicious sweet peppers stuffed with homemade Italian sausage. That's a discovery! That's Italian! 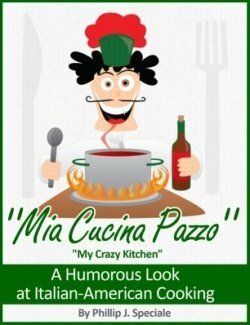 Thats Great-Chicago-Italian-Recipes.com! Are you tired of just throwing a bowl of chips and salsa on the table for your parties? 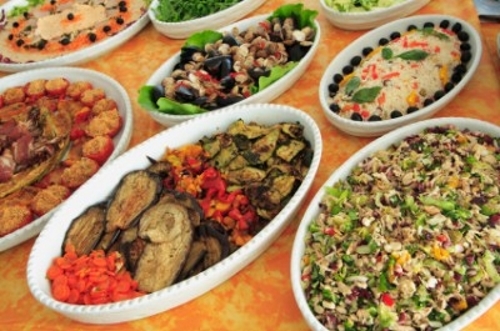 Let Finger Food Recipes help you with some quick finger food and turn a basic party into an event to remember. ItalyLink.com Your Gateway to Italy! www.RecipeLand.com - Giant recipe collection. Fast, easy free and fun recipes at your fingertips. Recipe reviews, cooking tips and more. Serving visitors since 1996 with over 40,000 recipes.